Lawrence Smyth reflects on the Christmas infancy narratives. When at primary school, many of us are likely to have performed in a Christmas Nativity play. Every December parents beam with pride (or cringe with embarrassment!) as their children act as either the Virgin Mary, Joseph, the innkeeper, the three shepherds, the three wise men, angels, or even the donkeys or camels! 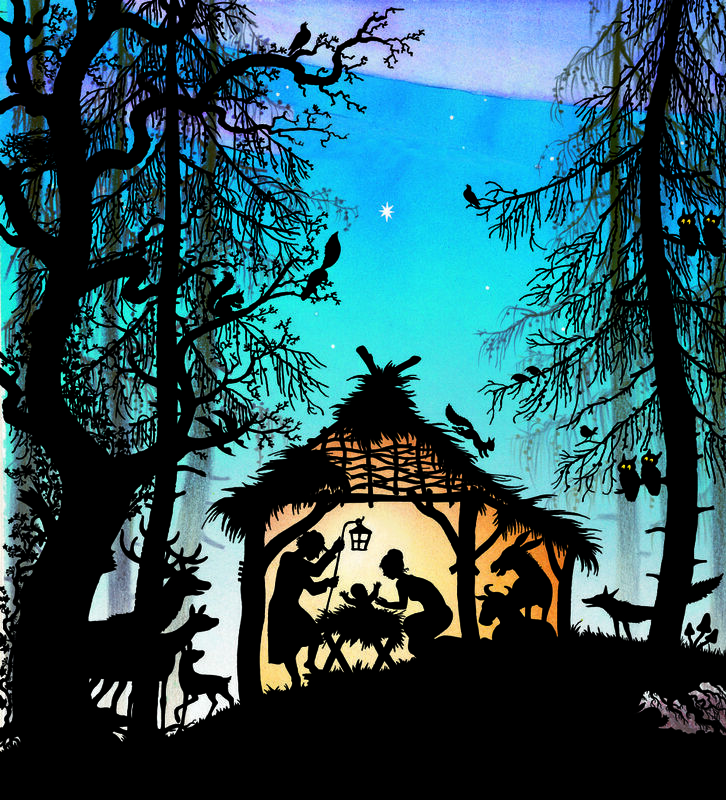 Even some Richard Dawkins-type atheists admit the Nativity story is rather charming. A poor Jewish girl is told by an angel she has been chosen for a special mission: to give birth to Jesus the Messiah; she and her husband Joseph then travel to Bethlehem on an arduous journey riding on a donkey. This because of a decree by the Roman Emperor Caesar Augustus. In Bethlehem there is nowhere for Mary and Joseph to stay, so she gives birth in a lowly stable - symbolising God’s solidarity with the poor; the Holy Family are then visited in the stable by three shepherds and three Magi (the wisemen) - symbolising that rich and poor alike will come to worship Jesus the Messiah. There is however an obvious question that arises around Nativity plays: Are the plays depicting real historical events or a fairy tale? However charming a story may be evidently has nothing to do with the reality of the events depicted. This is not an insignificant issue, as for the past 2,000 years most people performing Nativity plays probably thought they were depicting real historical events. As clever and hilarious as Burnett is (! ), he is evidently not an artist or poet. To write the article, Burnett presumably picked up a copy of the Bible, thinking it was the product of (in his words) stupid “old celibate men 20 centuries ago” attempting to write history. He has then satirically explained away all the Infancy Narrative details. Unfortunately Burnett did not do his homework and completely missed the rich symbolism and subtle structuring involved in their composition. Even allowing that the men who wrote the New Testament had minds and carefully considered what they wrote, is it possible to separate fact from fiction in the Christmas narratives? Even if they weren’t stupid “old celibate men” 20 centuries ago, could the authors still have fabricated the Infancy Narratives? Is there any value at all in what children perform during their Nativity plays every December? Everyone is aware that Christmas and Easter are the two best-known, and popular, Christian festivals. Christmas is a time of presents, turkey, Christmas pudding, Father Christmas etc. Easter, however, is merely a time of lamb and chocolate Easter eggs. Therefore, people today prefer Christmas to Easter. If people go to church once a year, they are more likely to do so at Christmas than at Easter. However, what is striking if one reads the New Testament is how little interest is shown in Jesus’s childhood. Details about Jesus’s birth and childhood are only described in two of the 27 books in the New Testament: the Gospels of St Matthew and St Luke, and their accounts of Jesus’s birth actually contradict one another! For the early Christians, Christmas was simply unimportant. Easter was all that mattered. The fifth book of the New Testament, The Acts of the Apostles, describes the origins of the Catholic Church (if one is Catholic or Orthodox that is! For Protestants, Acts describes the origins of the Christian ‘sects’ or ‘movements’). Jesus’s birth and childhood are utterly irrelevant; St Peter exclusively prioritises Jesus’s acts of good and healing, and his death and resurrection. What does The Bible actually say about Jesus's birth? This quote comes from Chapter 40 of the Book of Isaiah (written between the 8th and 6th Centuries BC), in which Isaiah announces that God has promised comfort, restoration and good news for the people of Israel - who are the people of God. Chapter 40 asserts “the glory of the Lord shall be revealed, and all people shall see it together for the mouth of the Lord has spoken.” Mark is therefore immediately associating Jesus’s mission with the time when the people of Israel will see the ultimate greatness of God. He isn’t concerned with Jesus’s birth or childhood. These words are influenced by several Old Testament books including Genesis, Isaiah, Wisdom and Proverbs. In the Book of the Prophet Isaiah, for example, God says: “So shall my Word be that goes out from my mouth; it shall not return to me empty, but it shall accomplish that which I purpose, and succeed in the thing for which I sent it.” Like St Mark, St John then begins his narrative with an account of John the Baptist ‘preparing the way’ for Jesus. Therefore, we are left with St Matthew and St Luke’s accounts of Jesus’s birth - and they are both different! However, there are good reasons for this, and this is probably to do with the writers’ target audience. Early Christian writers such as Origen, Ireneaus, Eusebius, and Clement of Alexandria all say that St Matthew was one of the Twelve apostles. They say he wrote his gospel for Christians who had converted from a Jewish background. Given that St Matthew’s gospel is the one most concerned with specifically Jewish customs and beliefs, there doesn’t seem any reason to doubt this. By contrast St Luke was, according to Christian tradition, a Greek-speaking doctor from Antioch in Syria and a travelling companion of St Paul. His gospel is aimed at a non-Jewish audience and is most concerned with the poor, the outcasts and the oppressed. It also has a high regard for women (unusual for the time), and women occupy a prominent place in the gospel. As shall be seen, this too influenced the structure of the Infancy Narratives in his Gospel. In St Matthew’s account Mary becomes pregnant by the Holy Spirit. An angel tells her husband Joseph not to fear. Jesus is born in Bethlehem, after which wisemen from the East follow a star and search for Jesus. The wisemen bring gifts of gold, frankincense and myrrh. King Herod hears of this, is frightened and orders all children under the age of two in the Bethlehem area to be slaughtered. Mary and Joseph flee to Egypt. Mary and Joseph return from Egypt to Galilee and settle in Nazareth. Therefore, there is not actually much joy in St Matthew’s account; the Holy Family must flee violence and persecution. St Luke’s narrative begins with an old devout childless couple, Zechariah and Elisabeth, who are unable to have children. The Angel Gabriel appears to them and announces Elisabeth will give birth to John the Baptist. Six months later, the Angel Gabriel visits Elizabeth’s relative, the virgin Mary, in Nazareth and announces “Do not be afraid Mary, for you have found favour with God…You will bear a son…Jesus…He will be great and will be called Son of the Most High…He will reign over the House of Jacob and his kingdom will have no end.” The account then moves on to Mary’s Song of Praise, known as the Magnificat, before it describes John the Baptist’s birth. St Luke’s description of Jesus’s birth begins with a decree by Roman Emperor Caesar Augustus that commands all citizens in the Roman Empire should be registered. Joseph travels along with the pregnant Mary to Bethlehem to register himself. In Bethlehem Mary gives birth to Jesus. An angel of the Lord appears to nearby shepherds and announces “I am bringing you good news great joy for all the people: to you is born this day in the city of David a Saviour, who is the Messiah, the Lord.” The shepherds visit Jesus in the manger and ‘glorify and praise God’ for what they see and hear. As can be seen, Matthew mentions the wisemen, the flight into Egypt, the slaughter of the innocents in Bethlehem, the star in the sky, but nowhere mentions a manger, shepherds, or Caesar Augustus’s call to registration. Luke does not mention the flight into Egypt, the slaughter of the innocents or the wisemen. Additionally, Luke identifies the angel (Gabriel) by name, but Matthew doesn’t. Matthew says Mary and Joseph lived in Bethlehem, but Luke says they were from Nazareth (although both agree Jesus was born in Bethlehem). Luke’s account is joyful, Matthew’s is overshadowed by fear. Furthermore, there is no mention of innkeepers, donkeys, or oxen in either of the Gospel narratives - which Pope Benedict XVI pointed out in a 2012 book, sparking the Daily Mail headline “Killjoy Pope Crushes Christmas Nativity Traditions”! Thus, from the above, we can see that Matthew’s inclusion of the Virgin birth, kings (wisemen) visiting the ‘light of God’, wisemen bringing gold and frankincense, the flight to Egypt, and the birth in Bethlehem, are not random at all. They are all connected to prophecies about when the People of God (Israel’s) woes and sufferings would cease due to the greatness of God. Finally, two other elements in St Luke’s narrative are intended to show both that God’s Spirit is really present as Jesus, and that Jesus will usher in a time when God’s mercy will come to the fore and He will ultimately forgive the wickedness and unfaithfulness of Israel. Thus, in both of the preceding preceding quotations, we have the image of this mysterious cloud/Spirit of God ‘coming down’ and making its presence known to humans: in both the tabernacle of the Ark of the Covenant and in Jesus. If our Guardian man, Dean Burnett, had been aware of the above, would he still have published his article? As shown, St Matthew and St Luke were not stupid gullible ’celibate old men’ naively attempting to write history. It is evident the point of the Gospel Infancy narratives is to contextualise Jesus’s coming into being in actual human history. The Jewish people were unique in the ancient Mediterranean world for their strict and uncompromising monotheism. Despite all their material disasters and exiles, they always looked ahead to a time when their God would send a Messiah. The Messiah would end their disasters and achieve an eternal victory - creating ‘the everlasting kingdom’ that would last from ‘generation to generation.’ It is true that the writings of the prophets can be vague, uncertain, cryptic, imprecise, and sometimes nationalistic. But they look forward to a time of light and of God’s triumph and mercy. The point of the Infancy narratives is to emphasise this time has come.